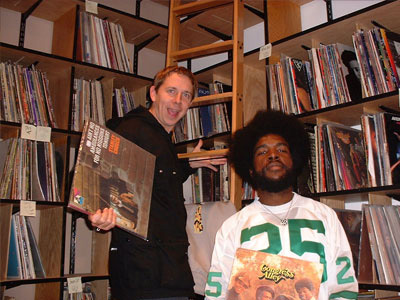 Trip-Hop.net : You are today a worldwide known DJ... You had the chance to manage (not in the chronological order) a club, a label, and a musical career in Radio. What was the most exciting period of these last years ? 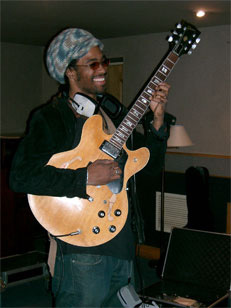 Gilles : I think the early days of the Acid Jazz movement were really exciting for me because the whole of the UK was off doing its own thing in acid house raves in the late 80s/early 90s, with the ecstasy revolution, etc and then at the same time there was this movement of UK jazz funk which was aware if its roots and also futuristic and cool. I guess the other highlight of the last twenty years was when I finally managed to get onto BBC Radio 1 - it was the culmination of 15 years slowly stepping up the ladder through my own pirate radio. Trip-Hop.net : You seem to be the perfect man to find the soul / jazz / electro music that fits with chillers and cool people ; When we think about it, you were a huge contributor for a lot of bands (4 Hero, Zero 7, Plant Life, Fat Freddy's Drop, the Talkin' Loud guys beyond many many others). Why are you attracted especially by this soulful music ? Gilles : I like all kinds of music really, whatever is fresh and exciting at the time. I get access to new music often a long time before the general public because many bands ,artists and labels send it to me sometimes before it is even finished to get my opinion, etc. I love soulful music because it messes with your emotions, it hits you somewhere other than just your ears. Trip-Hop.net : How do you do to follow all the musical bands that are releasing their music today? Gilles : Well I'm immersed and surrounded by new music all the time, it's part of my job. I don't need to go out and find it, it's just around me constantly, when I'm on the road around the road doing gigs in clubs or festivals, when i'm preparing to do my radio show or just going into a record store to buy some new stuff. There is a lot out there, that is for sure. I have someone help me open all the packages I receive everyday and listen to them before passing them to me. If I listened to everything I was sent I wouldn't have any time for anything else! Trip-Hop.net : The most promising bands for the coming years ? Who do you think we should really pay attention in the coming months / years? Gilles : There is a really cool jazz big band called The Heritage Orchestra, which are featured on the BBC Sessions album. I think Ed Motta is a real talent to watch too, he's got a new album coming out in March 06. Soil + Pimp is a crazy Japanese punk band that are very cool too. Trip-Hop.net : About Talkin Loud, in which you are no longer officially involved, would you have done something differently in order to keep going with it ? Gilles : Not really, it was great while it lasted. Now it's time for something new! Gilles : I'm definitely interested in podcasting - I think there is a really good future for it. I just did the first legal copyrighted podcast with Common recently for Motorola. TV Show? No, I'll just play music - that's what I'm good at! Trip-Hop.net : After the Impressed with GP, the Wordwide Sessions, and the Wordwide Exclusives, we were expecting you to bring other "global' records. How did the geographical idea come to your mind ? Trip-Hop.net : For fans, it was pretty clear that you have a deep love for Brazil and Africa, do you think you're gonna do other countries in the future ? Gilles : Yes definitely. I'd like to do something with Scandinavia and Japan...maybe Poland too - There's some great Polish jazz! Gilles : Yes it's cool they're good guys. Because they are an independent label and they understand the kind of music I play they manage do a good job with my records. I guess I met them through the scene, but we got to know each other better on my first trip to Brazil. Trip-Hop.net : This double-album is awesome and we are proud to be an official supporter of this release. How came the idea to you at first ? Gilles : We've been making these recordings at the BBC for the last five years and it made sense to getsome of these onto record so that people who loved them or those who missed could listen to them at home. It was necessary! Trip-Hop.net : Gilles : How did you select the bands and songs ? Gilles : It was very difficult actually because there are so many good ones. I wanted the album to flow,and we are going to do more volumes in the future. The way to choose is to listen and then go with instinct. 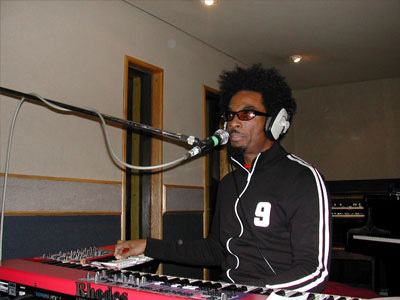 Trip-Hop.net : Gilles : What is your best memory of a Worldwide gig in the BBC Studios ? Gilles : I think a funny one was with Amp Fiddler - he seduced my mum! Trip-Hop.net : It's written volume 1 on this album. Are you already planning to release a 2nd volume ? Gilles : Yes, without a doubt. Trip-Hop.net : To you, how could we do in order to spread the love of music (in other words, make people more interested in not famous music and develop their appetite for it) ? Gilles : We need to give the good music as much exposure and profile as possible. Be it through radio or magazines or even better through the internet. Trip-Hop.net : You sure have a lot of coming projects now. Is there any one of them that you didn't mention in the previous questions and that you would like to talk about ? Trip-Hop.net : What places you recommend to listen to good music in London (easy for you) and in Paris ? Gilles : In London, I think there is some very interesting things going on at Cargo. Trip-Hop.net : Last question, very existential : Considering all you have done, what would be your true musical dream today ? Gilles : To DJ at the Arsenal Champions League Winners Party. Propos recueillis par : Dude.